Nadia and I recently took a day trip to Kauai. 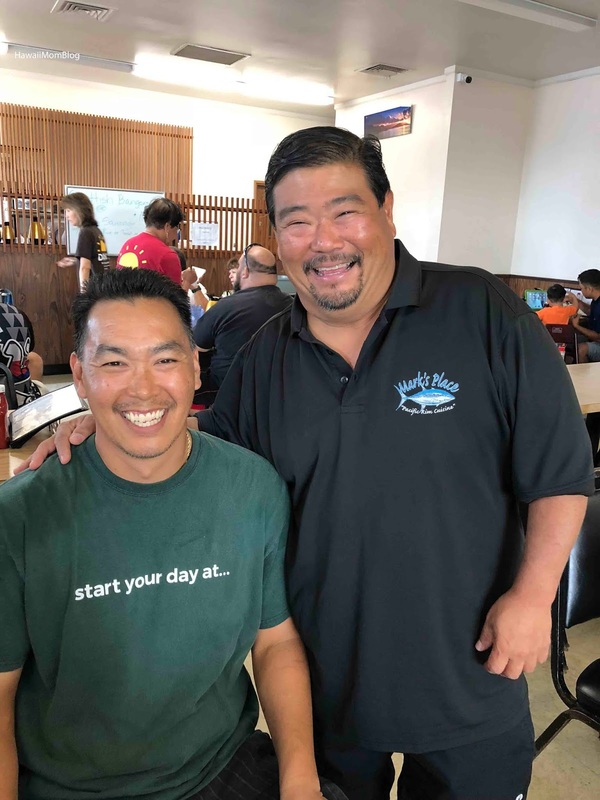 Unlike other day trips, instead of cramming in a dozen-plus different places, we left our day to Chef Mark Oyama, founder of Contemporary Flavors Catering, owner of Mark's Place, and Chef Instructor at Kauai Community College Culinary Arts. The first place he took us to was Dani's Restaurant, a mainstay in Kauai known for their comfort food and hearty breakfasts. This family business, named after son Danny Morioka (the restaurant is spelled "Dani" so people would not confuse the restaurant with a similar-sounding worldwide breakfast chain), has been feeding locals and tourists alike for over three decades. You'll still find Dani's Special Omelet (kamaboko, green onion, tomato), Hamburger Steak, and other familiar faves on the menu, but Danny (a former student of Mark's!) has been slowly reinventing dishes since taking over the helm five years ago. Nadia and I split the popular B.C.L.M. 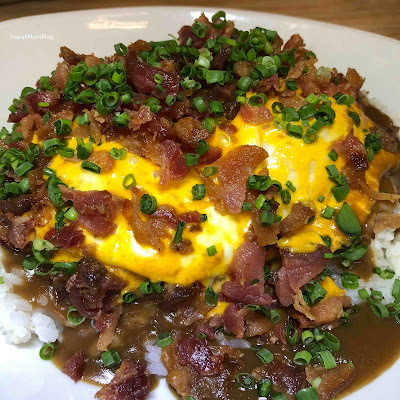 - Bacon Cheeseburger Loco Moco. 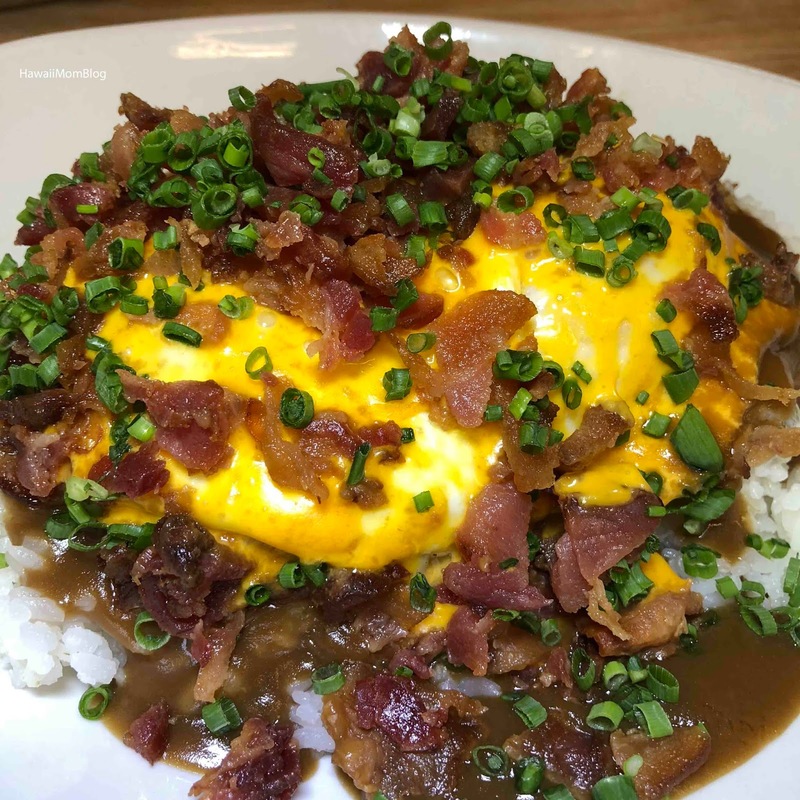 A typical loco moco (which you can still find on the menu) is already satisfying, but imagine it topped with crispy bacon, melted cheese, and green onions. Chef Danny's take on this local classic has been well-received (look at all that bacon!). The next time I'm not sharing. It was so good! The Half & Half is a fave of Mark's. A bowl of beef and tripe stew is served up with a side of rice. I gave this a try (and actually tried tripe for the first time!) 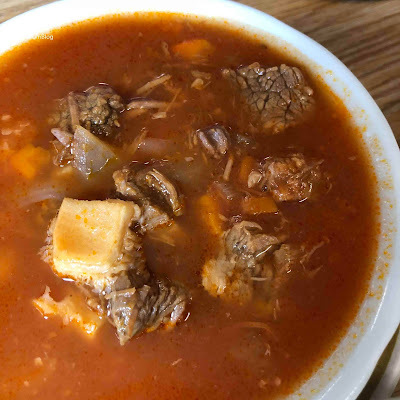 and had a hard time getting over the texture of the tripe, but overall I thought the stew was really flavorful. 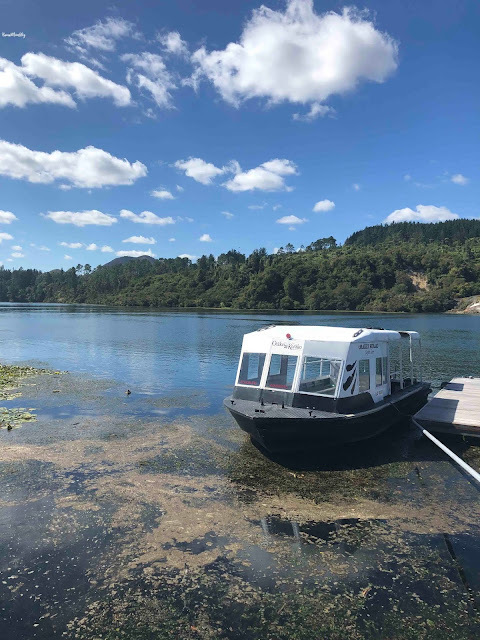 And by the looks of the steady stream of satisfied customers that dined while we were there, Dani's will continue to feed the community for decades more to come. Whether you're coming or going, start your day at Dani's Restaurant!